“My favourite place is North Queensland. It has for a naturalist everything. .. an amazing rainforest which is quite unlike any other in the world... on the coast, it has the Great Barrier Reef, ” Sir David Attenborough, March 2018. 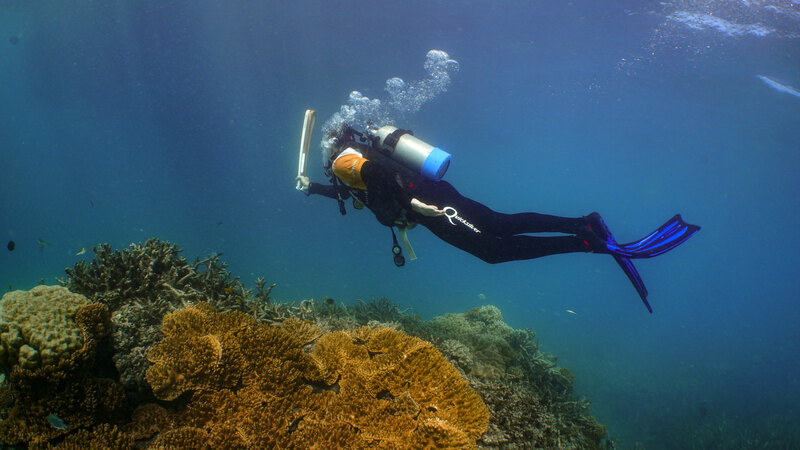 2018 is the third International Year of the Coral Reef and what better time to discover the wonders of the Great Barrier Reef! It’s been an exciting and right-royal start to the year with Seawalker Green Island joining the Quicksilver Group family, construction underway of our state-of-the-art Quicksilver Dive Centre in Port Douglas and our Managing Director Tony Baker had the honour of taking the 2018 Gold Coast Commonwealth Games Queen’s Baton relay underwater on the Great Barrier Reef for the first time! We’ve welcomed the Chinese New Year of the Dog and our event calendar is full of diverse ways to enjoy our region over the coming months. We look forward to catching up with many friends and colleagues at ATE in Adelaide from 15-19 April. 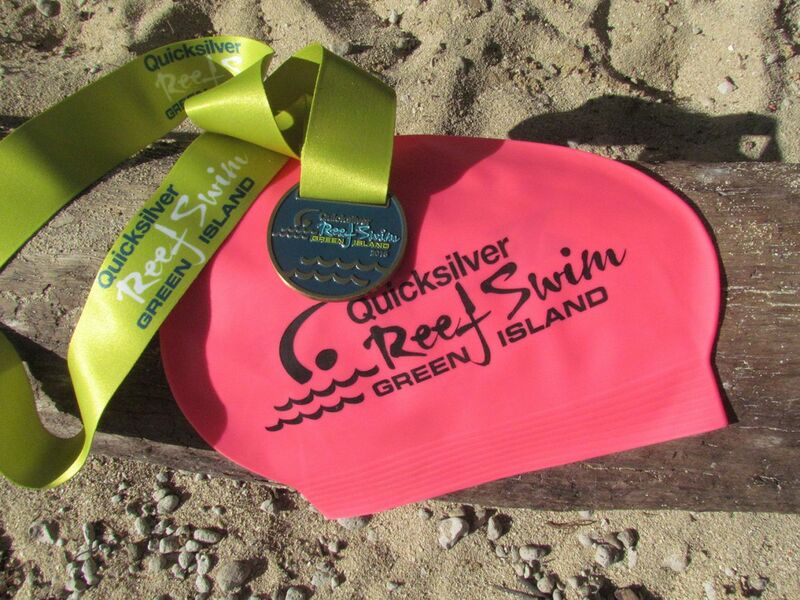 In the meantime, we hope you enjoy catching up with our latest news from the Quicksilver Group. 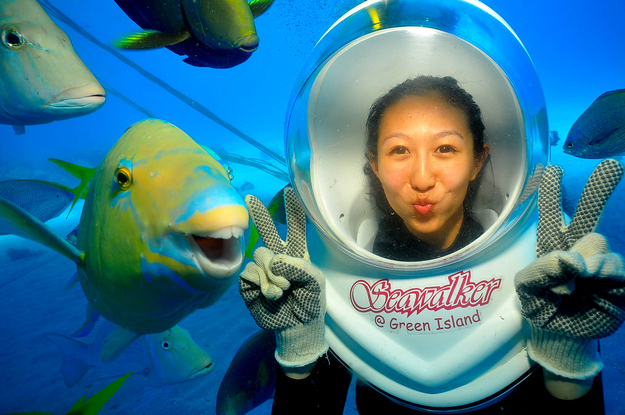 Seawalker Green Island was established in 2003 and has conducted over 220,000 helmet dives during this time. Karl Kuhle, CEO of Seawalker Green Island said of the purchase ,“We are extremely pleased the Quicksilver Group is the new owner. Seawalker Green Island is an established, well-respected, tourism award winning operation that has business links around the world. After 15 years it will be sad for me personally, but I know it will be in safe hands with Quicksilver who will further enhance the operation. 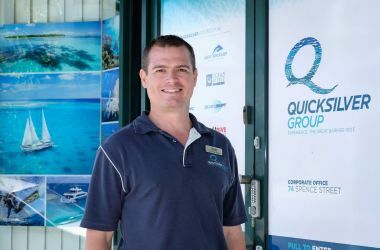 I know our crew will embrace the new ownership along with our most famous employee, Gavin, the world renowned photo bombing parrot fish who is also looking forward to joining the Quicksilver team”. 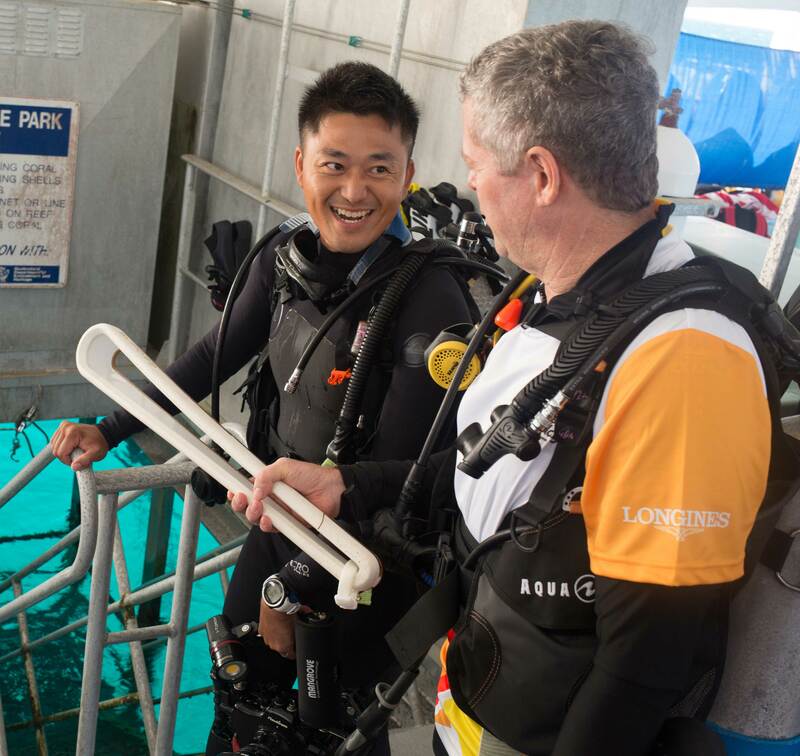 Construction of our Quicksilver Dive Centre in Port Douglas is progressing well with the completion of all in-ground work for the pilings and the slab. Construction is all up from here and over the next few months the building and pool will start to take shape. Local company Field Construct, and their team of up to 25, are keeping the project on track despite a few setbacks in regard to weather and additional underground works being required to move forward. 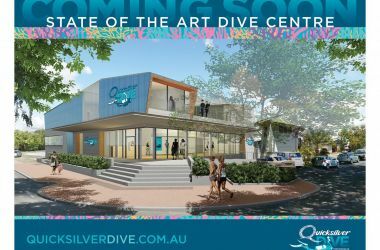 Quicksilver Group Managing Director, Tony Baker said, “We are looking forward to the next stage and hope that people walking past will take a peak to see what is happening behind the fence and to see our state-of-the-art Dive Centre taking shape. 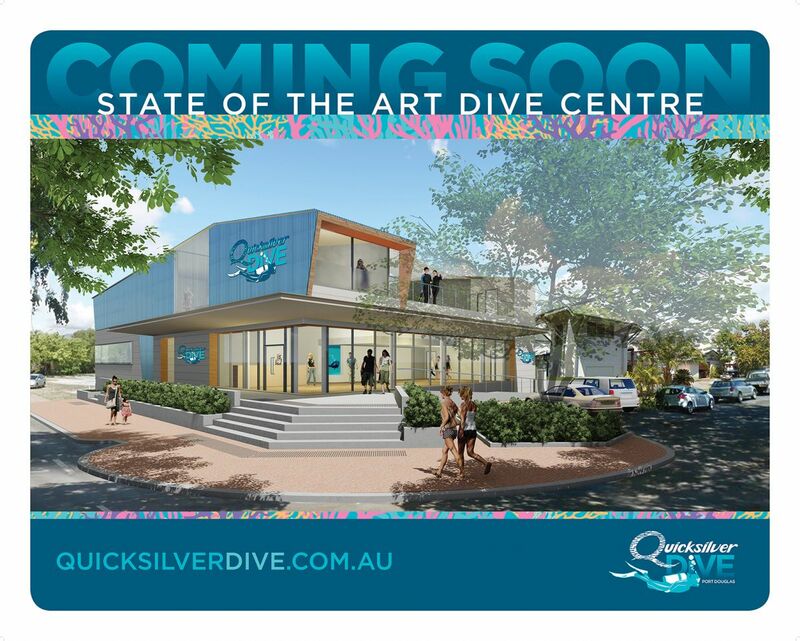 The Quicksilver Dive Centre is on track for an August opening when we will see our first guests take the plunge." 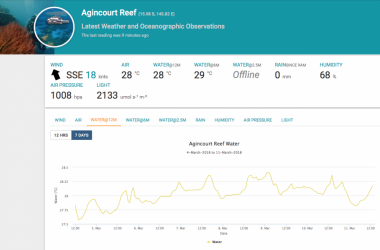 Did you know we have an Australian Institute of Marine Science (AIMS) weather station at our Quicksilver Agincourt Reef 3 platform? 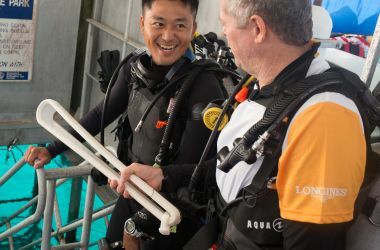 AIMS is Australia’s tropical marine research agency and through this station, we provide access to long term scientific data and live monitoring. 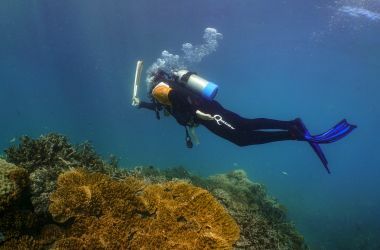 Collecting weather data that drives surface waves, water temperature and even the water flows that transport nutrients, provides an understanding of the physical environment in which the marine life lives. 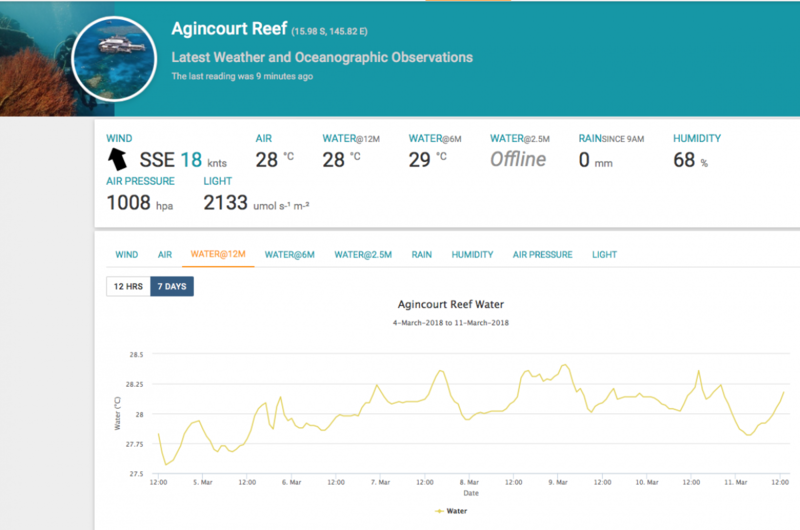 The station provides real-time data every 10 minutes on above-water meteorological conditions and in-water temperatures for meteorological and scientific communities. On Saturday 24 March, it’s time to take a moment (an hour actually) to think about our power usage. What started as a lights-off event in Sydney in 2007, Earth Hour is now a global event aimed at increasing awareness about climate change. As all non-essential lighting is switched off for one hour, guests staying at Green Island Resort will enjoy candlelit dinners in Emeralds Restaurant followed by torch lit guided walks with the island activities officer. Out further on the Great Barrier Reef on Pro Dive Cairns' liveaboard boats, torch lit night dives will take on a new meaning. From 8.30pm – 9.30 pm local time, be sure to switch off and join in. We may think our actions not significant, but together we can all make a difference. 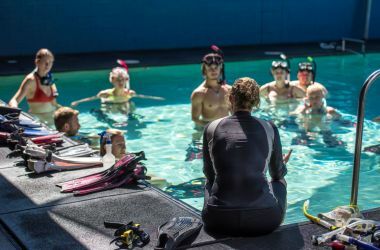 If you don’t have the time to participate in Pro Dive Cairns’ popular 5 Day Learn to Dive Course, but still want to have a liveaboard experience on the Great Barrier Reef, this 4 Day Learn to Dive Course is a fantastic alternative, combining online theory with practical training and adventure! 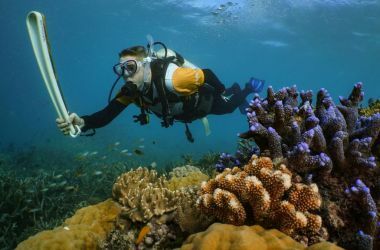 This course enables participants to do the theory component online with PADI’s eLearning program at your own convenience. 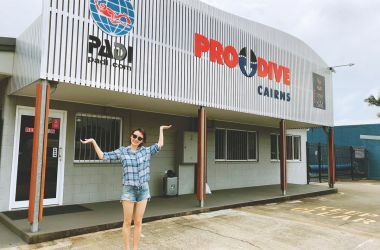 Once that’s completed, you’re ready to join Pro Dive Cairns’ 4 Day Learn to Dive Course which comprises one day of pool training followed by the adventure of a 3 day 2 night liveaboard trip to the Great Barrier Reef to become a certified diver. 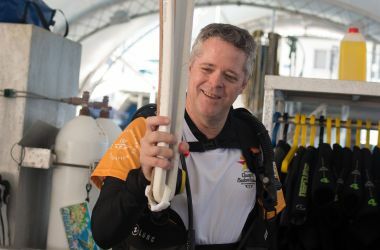 Step 1: Complete PADI eLearning program. 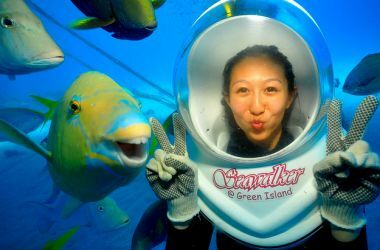 3 day / 2 night liveaboard trip to the Great Barrier Reef. 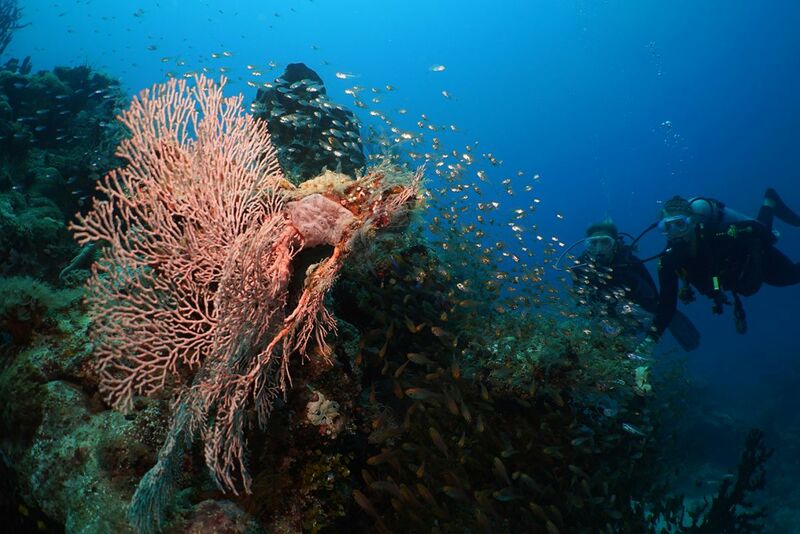 During your liveaboard trip, you'll have the opportunity to participate in 9 dives. 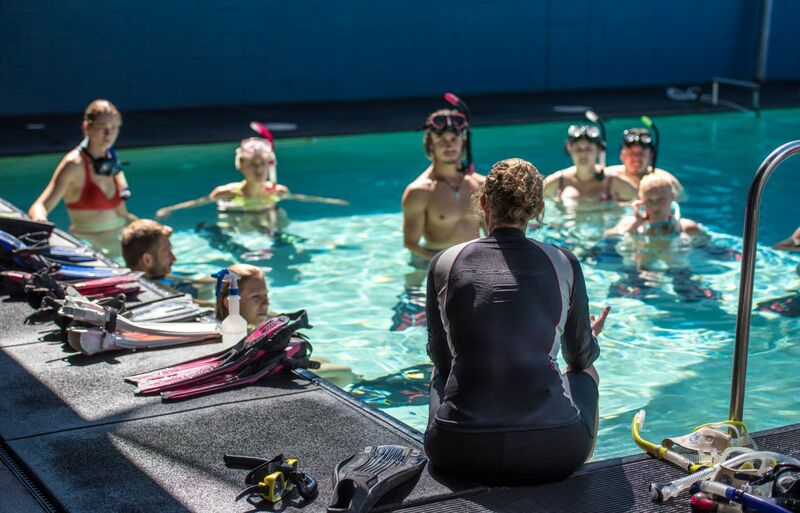 The first 4 dives will complete your Open Water certification and once you are a certified diver you are able to undertake up to 5 more fun dives. 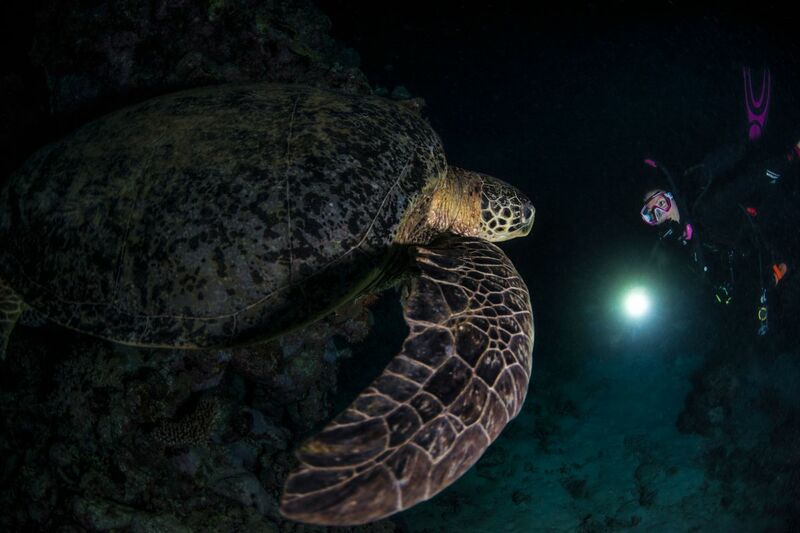 One of these dives is an exciting guided night dive! 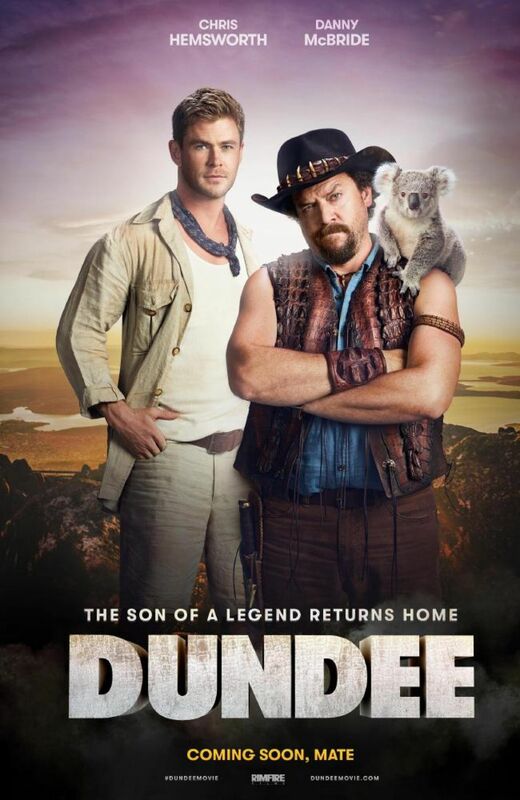 Dundee: The Son of a Legend Returns Home! 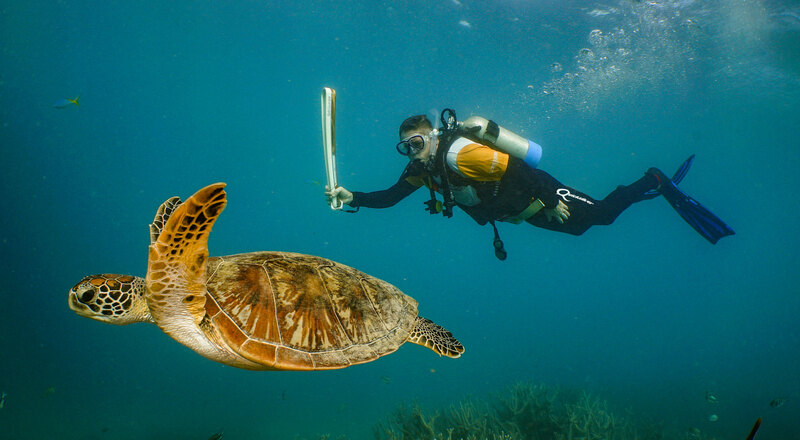 Time for a smile with Tourism Australia’s fabulous US targeted campaign. 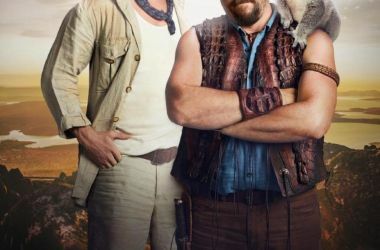 The new star-studded Crocodile Dundee-inspired TV commercial and trailers feature US comedian Danny McBride and Australian actors Chris Hemsworth, Margo Robbie, Russell Crowe, Liam Hemsworth, Hugh Jackmand and more, and of course a cameo by the original Croc Dundee, Paul Hogan. Here's the one minute commercial screened at the US Super Bowl, enjoy! 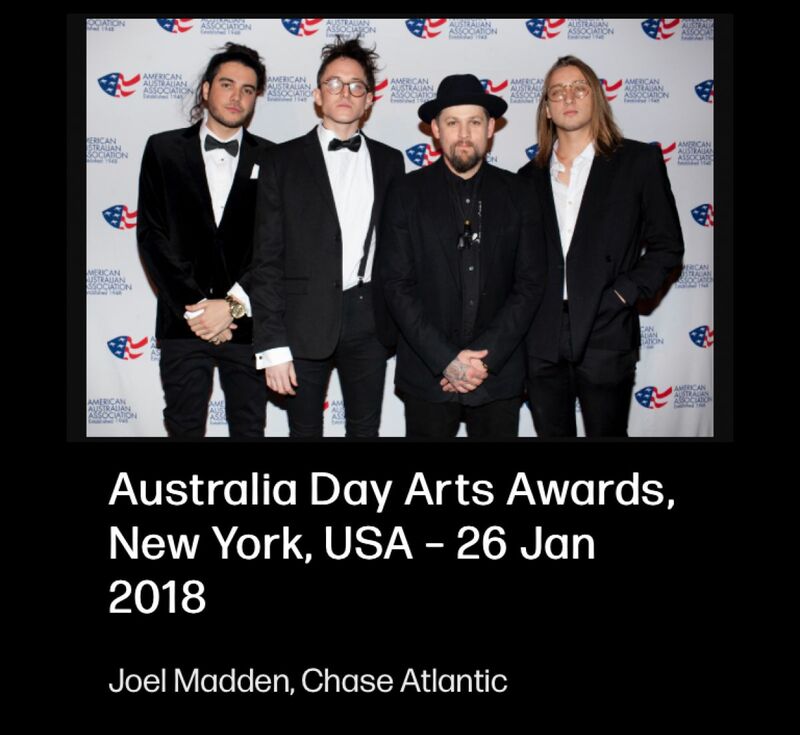 From our Quicky family, we’re delighted to congratulate the very talented Cave brothers, part of the successful Australian band, Chase Atlantic, on being honoured at the American Australian Association’s 2018 Australia Day Arts Awards in New York. Sons of our Cairns General Manager Operations Brian Cave and wife Brigitte, Clinton and Mitchel, along with band mate Christian Anthony received the “AAA Rising Star Award”. From recording in their bedrooms, touring the United States, being signed by Madden Brothers of American punk band Good Charlotte, the band soon landed a Warner Bros recording contract. 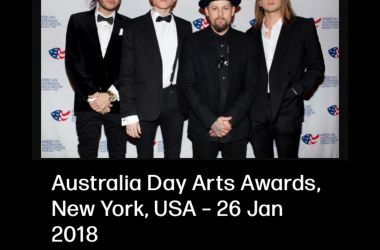 They will be back in Oz performing at the Download Festival on 24 March in Melbourne. 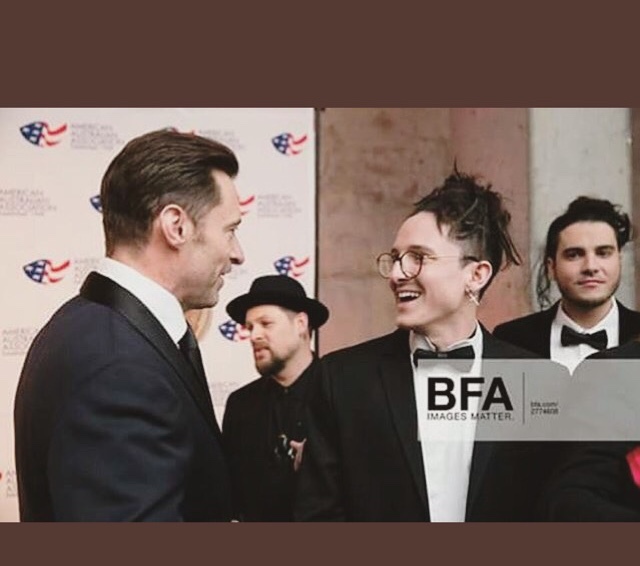 On a proud note, both Clinton and Mitchel participated in the Quicksilver Group Scholarship Program for children of employees, undertaking tertiary studies in music technology at the Conservatorium of Music in Brisbane, Griffith University. Rock on boys! 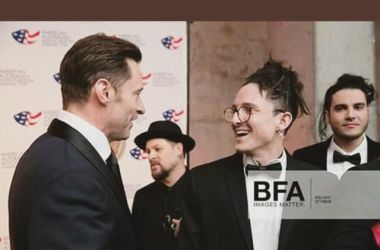 Photograph credits to American Australian Association. From the Reef with love! 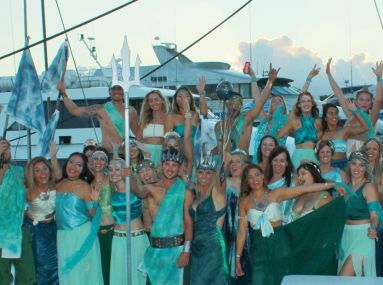 We normally specialise in reef trips but we’re delighted to have played a small part with Cupid's arrow too! 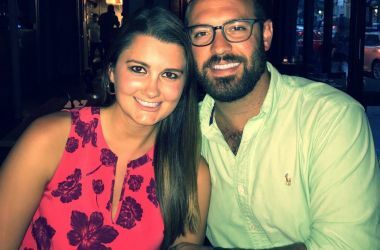 Last year Adelle from West Virginia met Andy from New York whilst visiting the Great Barrier Reef on Silverswift, and well, the rest is history! We wish Adelle and Andy all the best for the future and look forward to welcoming them aboard Silverswift again. 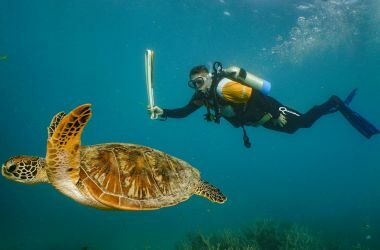 And there you have more wonders of the Great Barrier Reef! 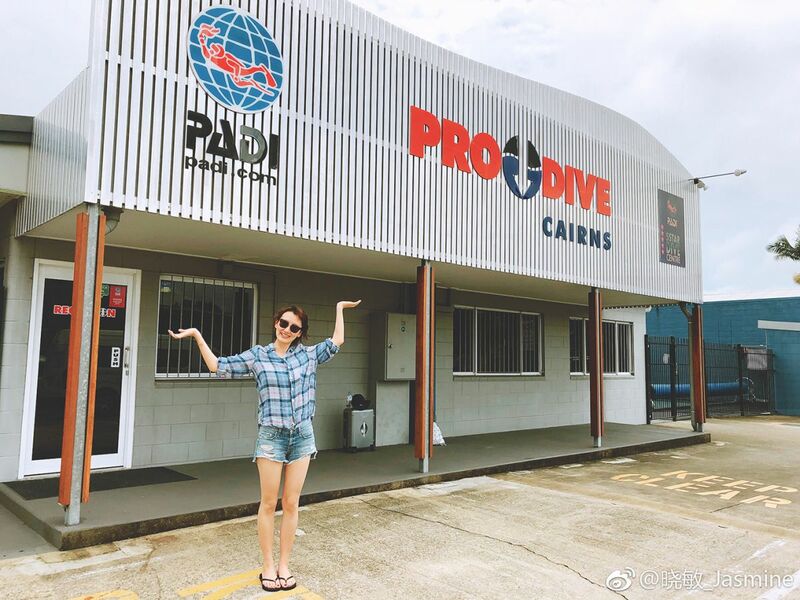 Pro Dive Cairns was delighted welcome Chinese TV celebrities Jasmine Guo Xiao Min and Leo Li Hao aboard to participate in their Advanced Open Water dive certification and a 3 day 2 night liveaboard adventure while holidaying in Cairns over the Chinese New Year period. The famous husband and wife team host a popular game show “Who’s Still Standing” to an enormous audience from Nanjing City in Jiangsu province and had a wonderful time experiencing the wonders of the Great Barrier Reef. 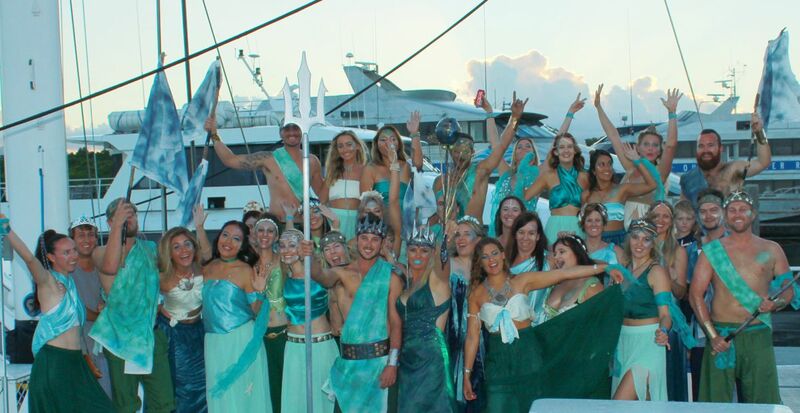 The Port Douglas Carnivale is heading our way in May and is a wonderful time to visit our beautiful part of the world. Get ready for some amazing events, food and wine, entertainment and activities for all. The Tropical Magic Street Parade is a highlight and once again in Quicky tradition, we’re ready to join the fun! 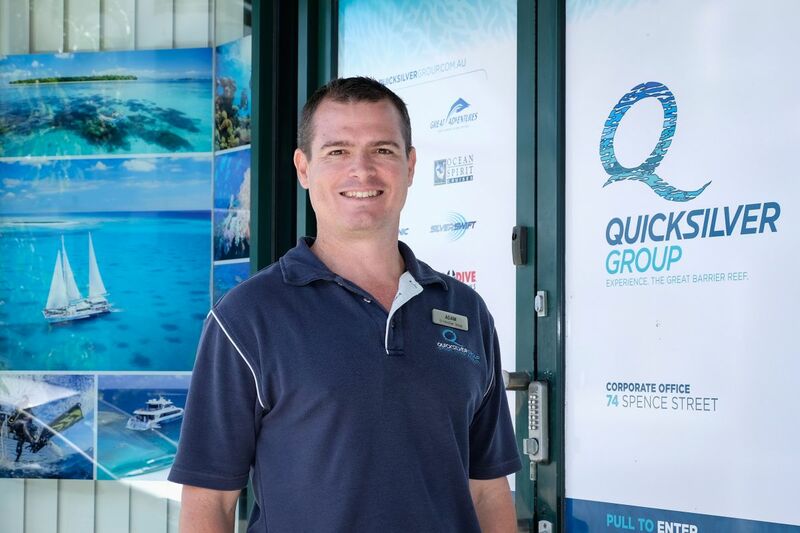 Quicksilver is once again proud to be a sponsor of the Port Douglas Yacht Club’s 2018 Quicksilver Port Douglas Race Week. 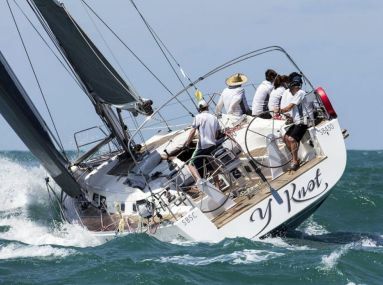 Now incorporated with the annual Port Douglas Carnivale, yachts from all over the coast will come together for a week of sailing, food and fun. 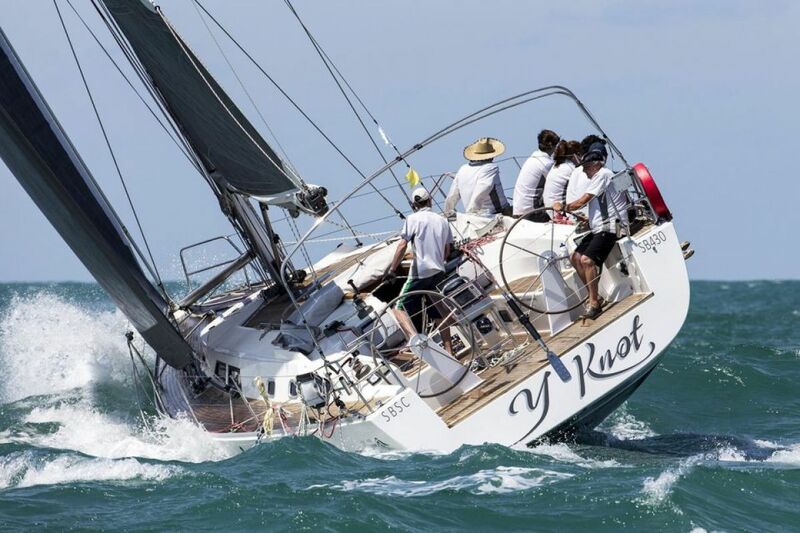 The sailing schedule includes racing around the stunning Low Isles and Snapper Islands, as well as some technical racing off the famous Four Mile Beach. Can fish talk? The answer is yes! Just like humans, fish have their own method of communication. They don’t have vocal cords, so they find more creative ways of communicating to each other and to other species. Vibrating muscles against their swim bladder can produce a variety of low pitch noises such as squeaks, moans and croaks. Rattling their bones and gnashing their teeth can also produce various pitches. Grunts, booms, hisses, whistles, creaking, shrieking, chirps, pops and wailing are all indicators of a fish’s mood. It is believed these communications serve to scare off predators, attract mates or orientate themselves. While all fish can hear, not all fish can talk, although we bet Wally has a few things to say! 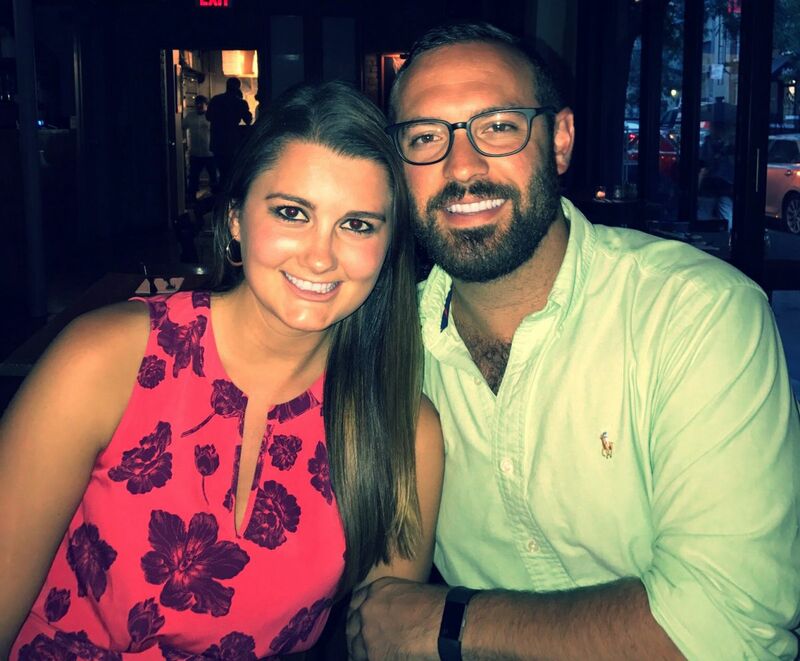 We’d like to introduce you to Michelle Mesken, Front Office Manager at Green Island Resort. 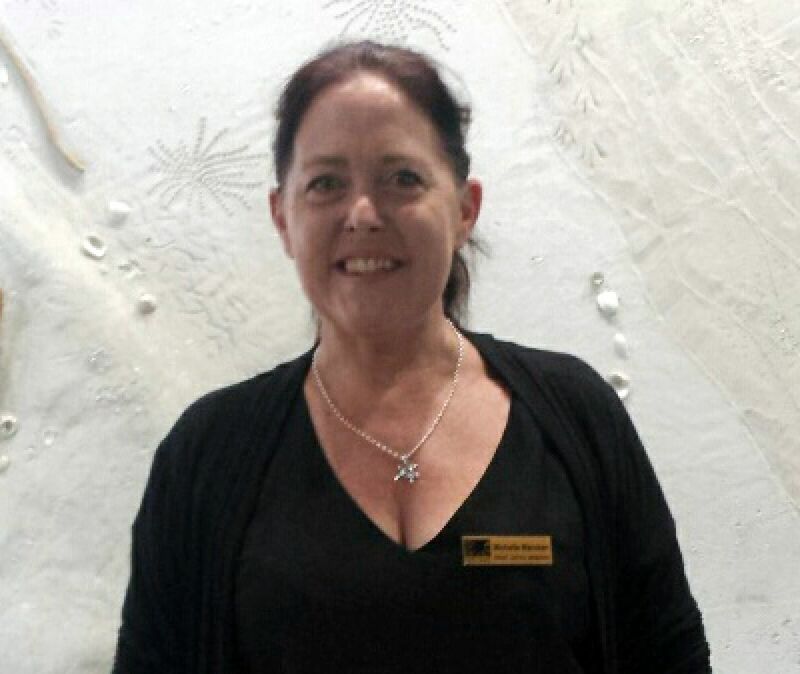 Michelle oversees a wonderful team ensuring the professional and friendly guest service the resort is well known for. 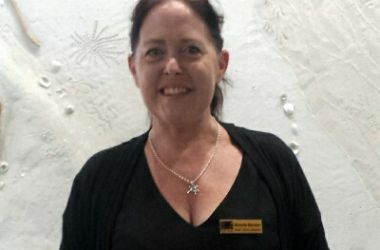 With extensive hospitality experience, Michelle's highlights include working in various places throughout Australia from capital cities to remote regions and off-shore Islands, including of course the beautiful Green Island she now calls home. Prior to joining Green island Resort, Michelle worked with Rydges Hotels and Resorts. Hey Quicksilver Group! 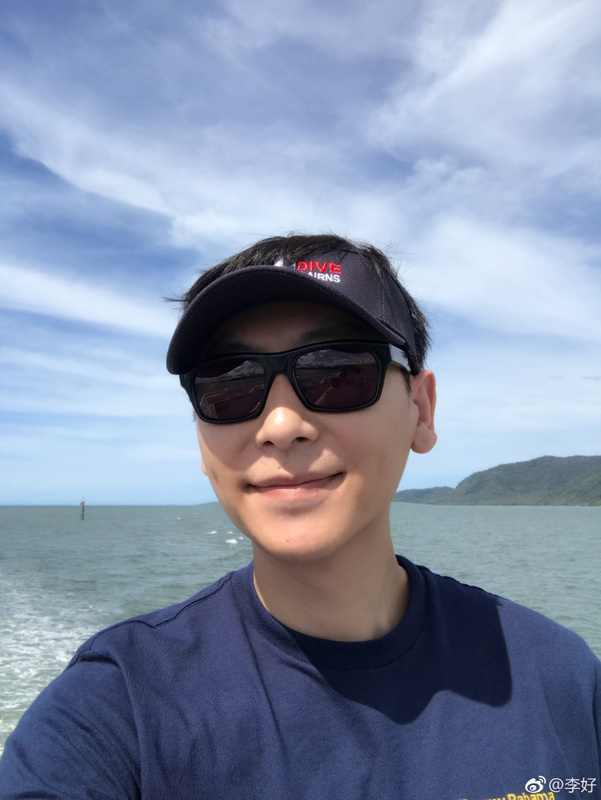 I just wanted to reach out and say thank you again for everything you guys did for me last month as I was solo travelling around Australia. 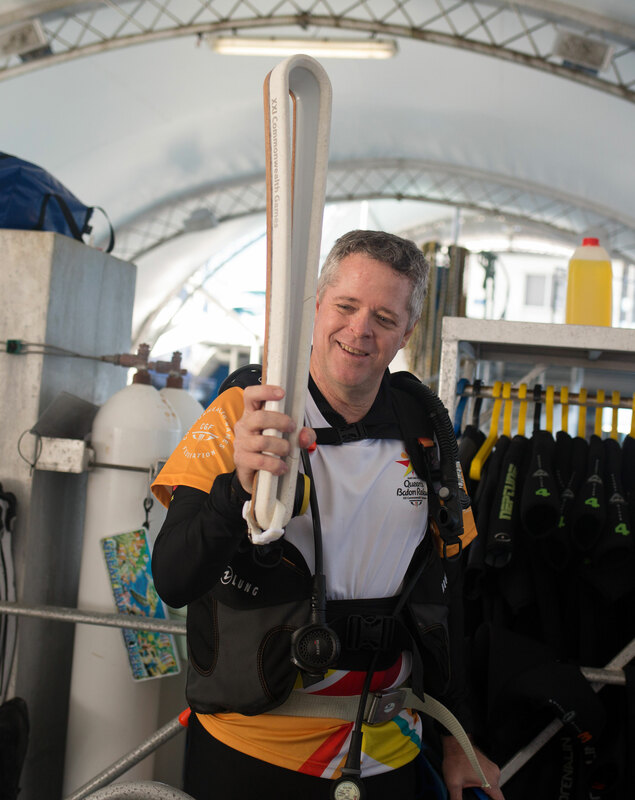 If it weren't for you guys, I would not have known where/how to get a dive medical exam and I wouldn't have been able to experience intro SCUBA diving - an experience that turned out to be even better than I expected! I had such a great time on the trip and I wanted to highlight the professionalism of the crew. 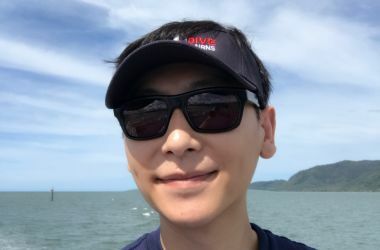 You guys really made sure every passenger was attended to and I want to give a special shout out to Yuta who was my intro dive guide. (Great guy!) I wish you all the best! 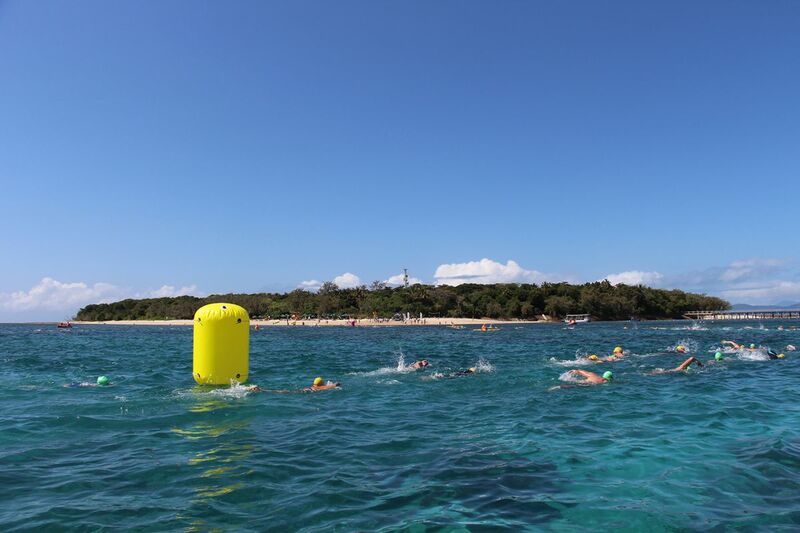 Cheers, M.
Free Wi-Fi: Free Wi-Fi is coming to our Outer Reef vessels, starting first with our Cairns-based vessels Great Adventures' Reef King, Ocean Spirit and Silverswift. This is expected to be operational by April 2018. 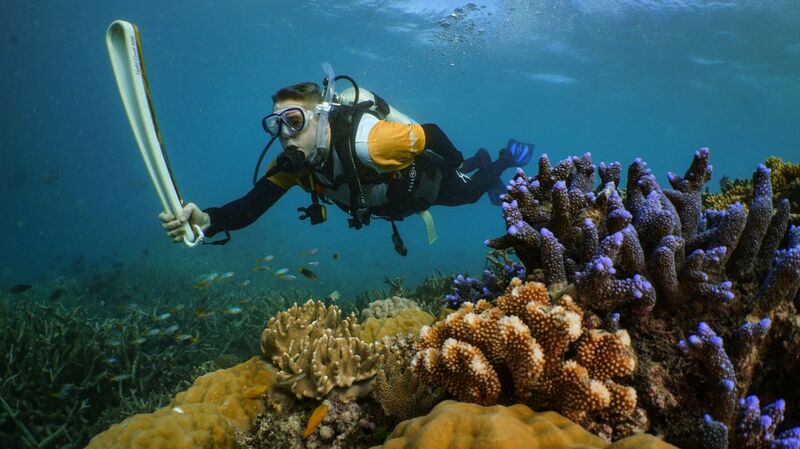 Free Wi-Fi continues to be available aboard Pro Dive Cairns liveaboard vessels and at Green Island Resort. Green Island Resort is open once again after annual maintenance conducted during February. ATE: We look forward to catching up with many friends and colleagues at ATE in Adelaide from 15-19 April.